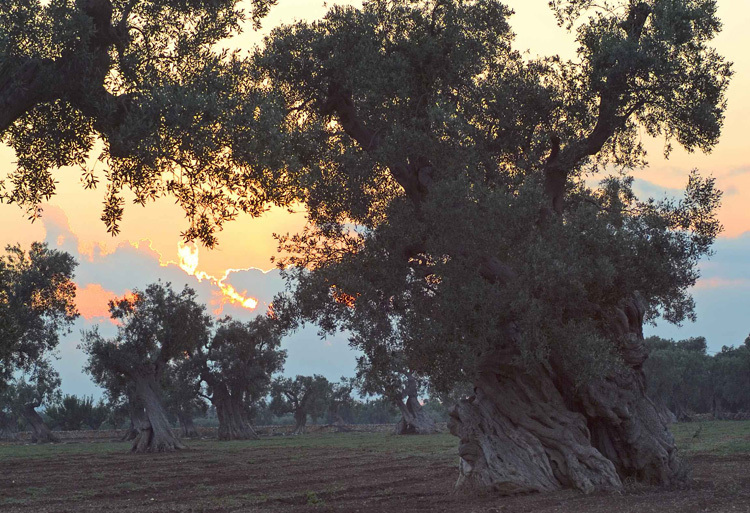 Amidst history, nature and agriculture Around here the age-old olive trees constitute the oldest arboreal landscapes in existence. 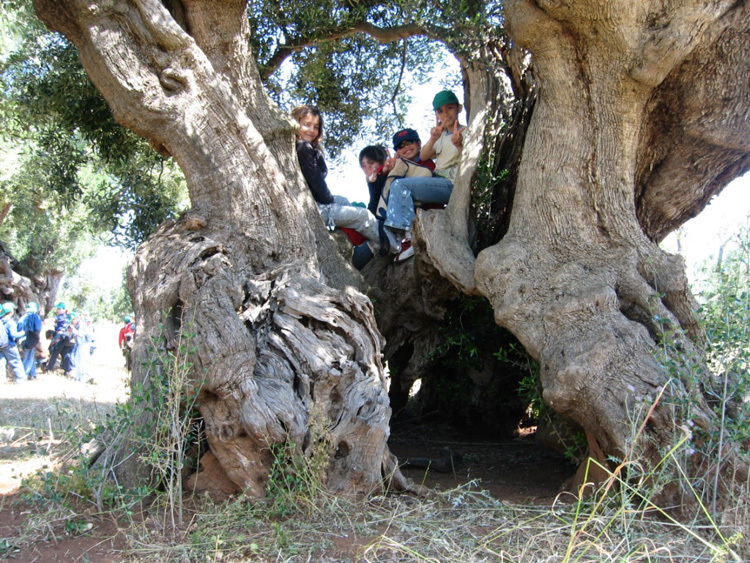 of a centuries-old olive tree. 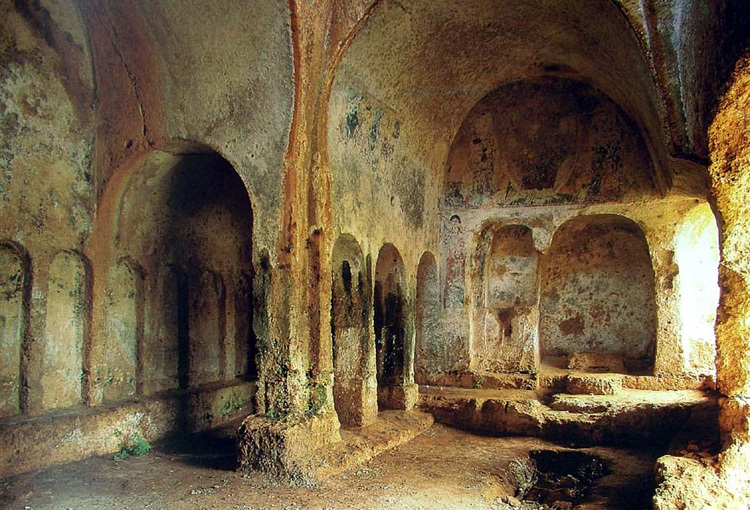 Between the lands around Bari and the ancient lands around Otranto a treasure is to be found that was once used to massage Olympic athletes, anoint kings, perfume pharaohs and fill ancient coffers, and like then, it still enhances every food, with an aroma that is soaked in history. That treasure that was called elaion by the Greeks and oleum in Latin and was, for all Mediterranean peoples, authentic liquid gold. 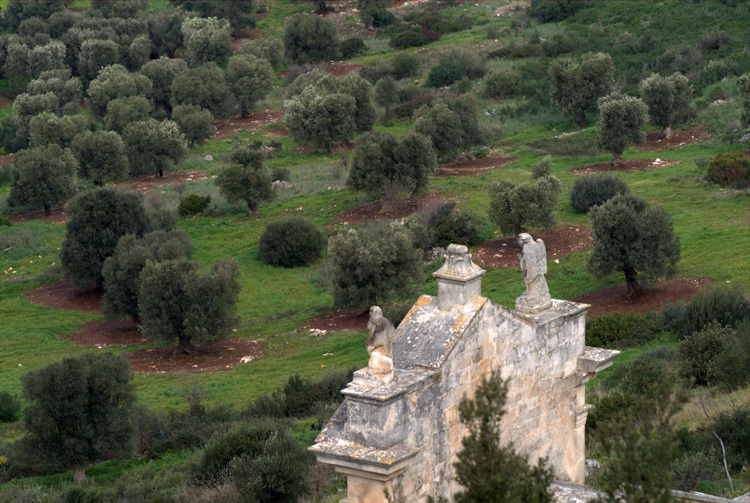 There is something magic about coming upon these millenary olive trees: they cloak gentle hills and their slopes down to the sea, they form woods that still give us the sensation of being able to go back in time, to soak up the history, to dive into an eternal landscape which has remained intact over the centuries. 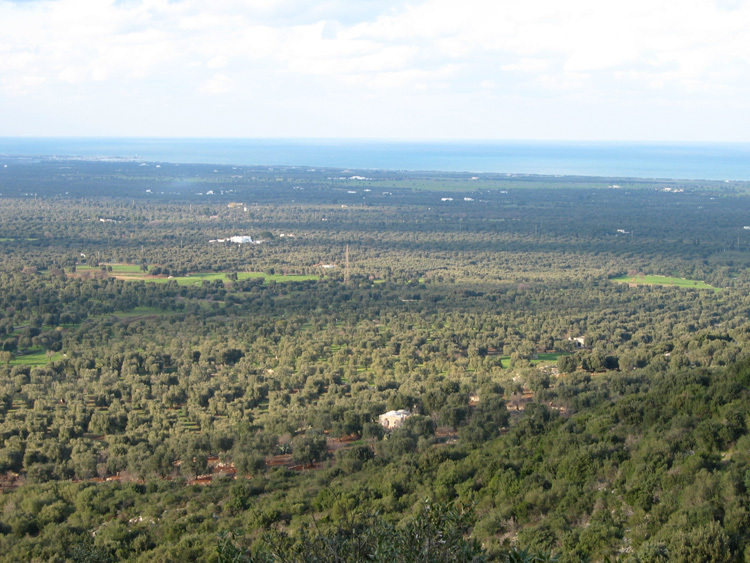 The view of these woods from the tops of the hills is wonderful, especially if you look towards the intensely blue background of the sea, or at sunset when the sun fires up the sky, or after dusk. 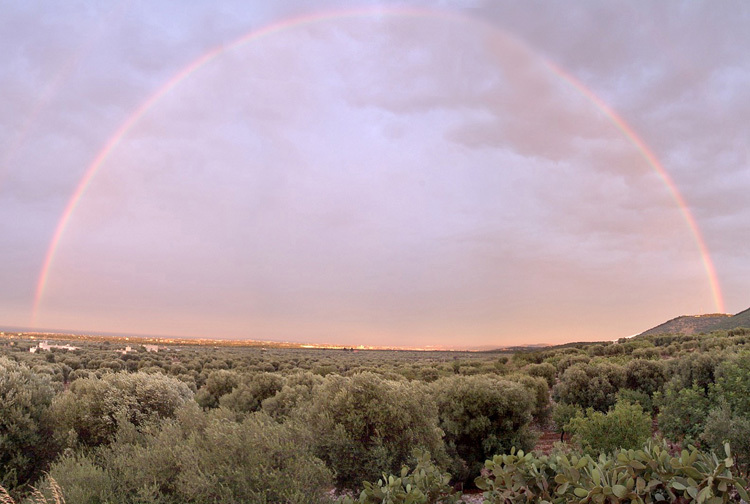 While all around the darkness gets deeper, the great olive trees remain in sight until the last moment, agitating their impatient fronds in the evening breeze, still full of light, of oil and of life. In those powerful branches, in those trunks sculpted by time, the extraordinary power of nature comes together. 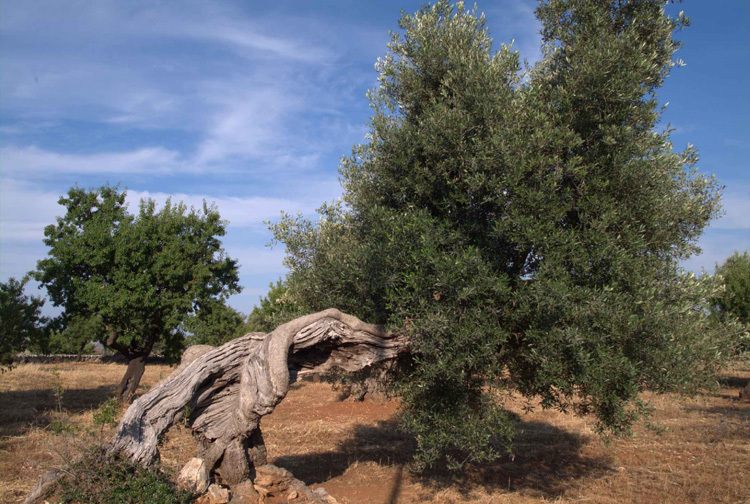 They don’t simply represent beauty; the olive trees are our historic landscape, the same landscape that accompanied the Normans and the Aragonese, the Angevins and the Spanish, the Bourbons and the Piedmontese. 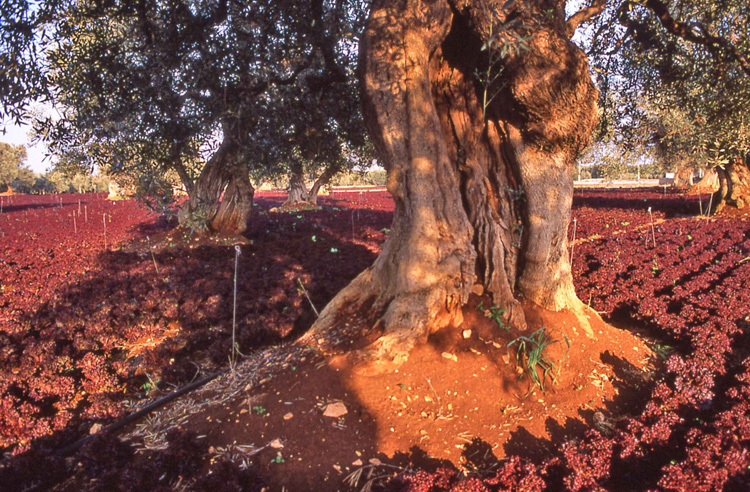 The stretches of millenary olives represent a complex system where history, nature and agriculture have woven their harmonious path over the centuries. 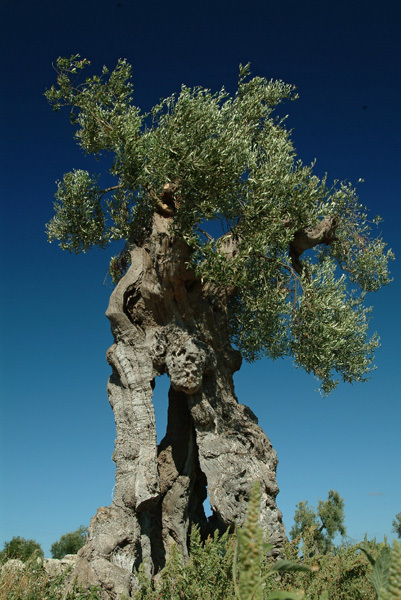 The most widespread and main varieties of olive trees grown in Puglia can be considered autochthonous, because of their specific biological adaptation over time. 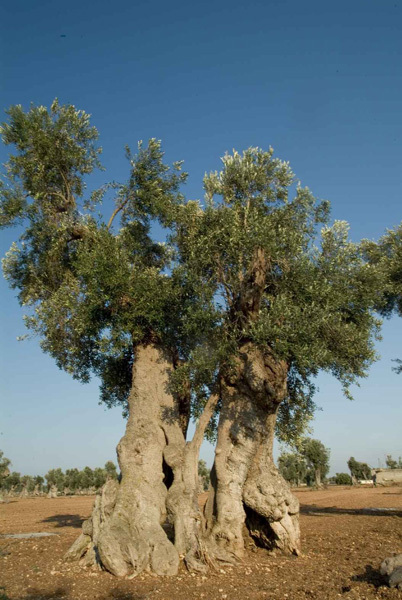 All the varieties of olive trees have taken on particular characteristics in relation to the terrain, the climate and the way they are farmed and are the consequence of the selection of the most vigorous individuals resistant to parasites and with the greatest oil yield. 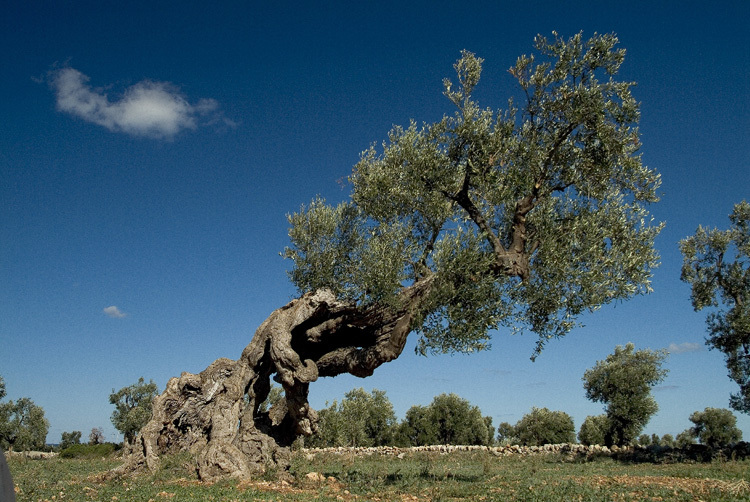 Most of the local cultivar belong to the Ogliarole group, and have taken on this proper name on the basis of various geographical areas of Puglia: Ogliarola Barese, Cima di Bitonto, Paisana, Cima di Mola and Ogliarola salentina. Then there are also Peranzana, Coratina and Cellina di Nardò. 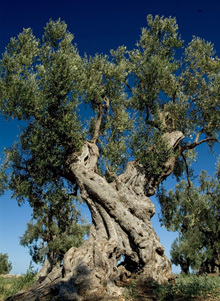 The extra-virgin olive oil from millenary plants that are included mainly in the Ogliarole group is of a yellow color with green nuances, giving off the fruity smell of olives and freshly-mown grass, and has a delicate taste with a fine balance between sweet and bitter against a slightly piquant background. The most fascinating thing is to think that you are tasting the same oil that first the Messapi and then the Ancient Romans tasted, with the same characteristics and smells and above all, deriving from the same plant. Which other plant in the world can make this boast? 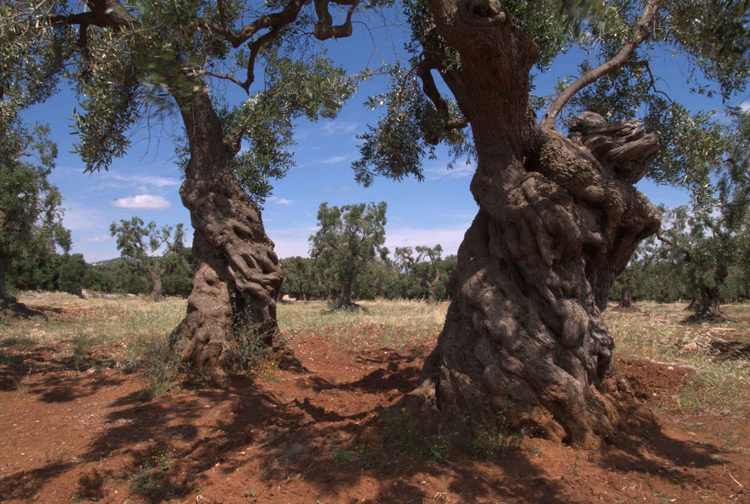 Here we have the highest concentration of millenary plants in the world, representing the oldest extant arboreal agrarian landscape in the world. 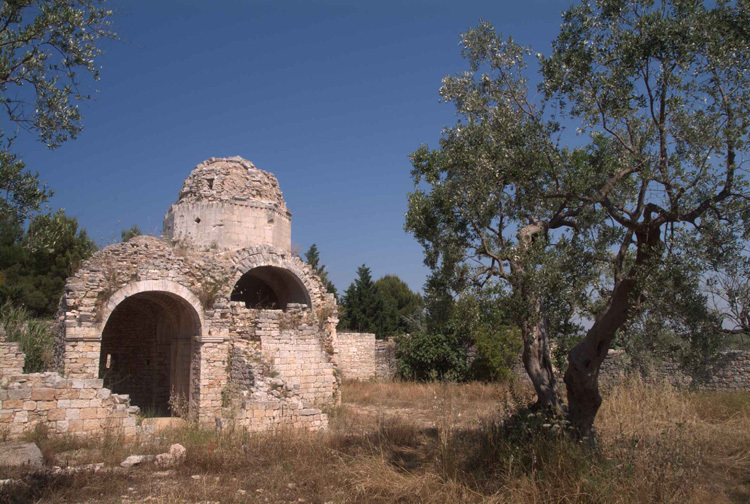 In these olive groves there are so many historical and cultural, archaeological and architectural witnesses of enormous value. One example is given by a Roman way that crosses the whole of the olive-grove plain of Fasano, Ostuni and Carovigno to end up at the Trajan columns at Brindisi harbour, the most important harbour for Greece and the Orient in the times of Ancient Rome. The Trajan Way was an Ancient Roman road built in 109 A.D. at the behest of the emperor Trajan, on a pre-existing lane from republican times. 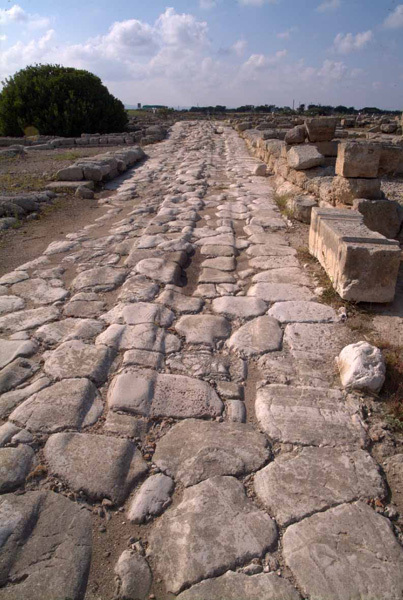 It was another version of the Appian Way that connected Rome to Brindisi (Brundisium). 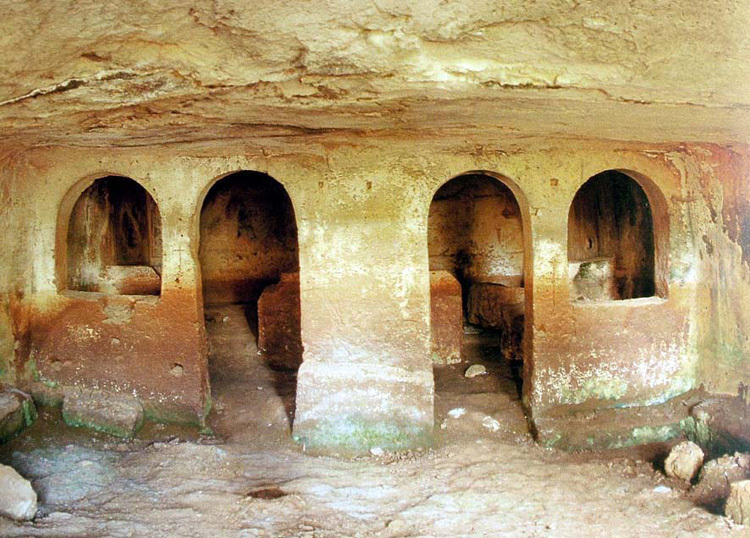 Built to facilitate the commercial traffic between Rome and the Orient, the Trajan Way helped economic development and agricultural colonisation in this part of Puglia; in fact it crosses monumental olive groves, flanks historic masserie, stone settlements, underground olive presses from Roman times and the Middle ages as well as megalithic constructions. 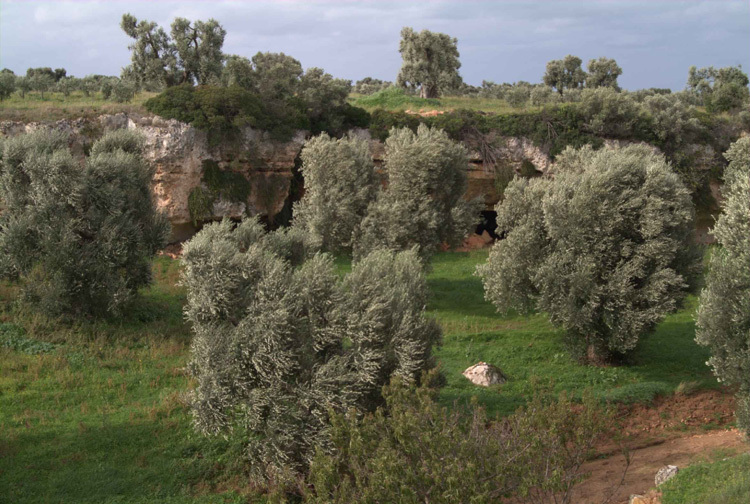 In the underground presses the olives produced by the monumental plants were transformed into oil; in the area around Ostuni there were more than 70 in the census, and its closeness to the ancient Roman artery enabled transport of this liquid gold towards the trading ports of Salento. 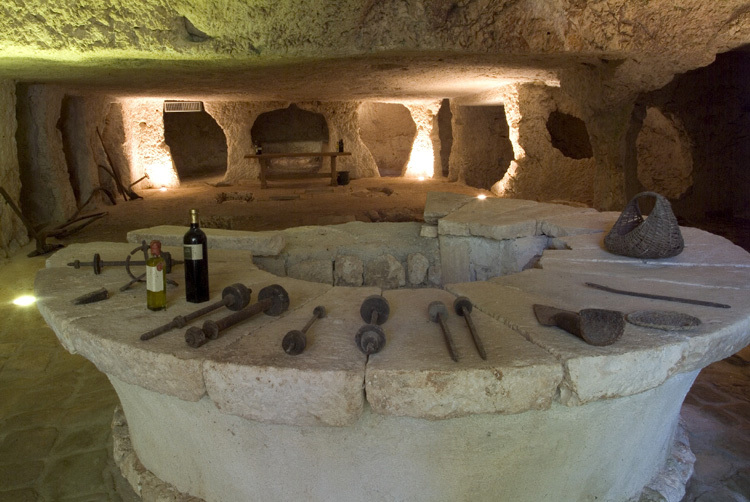 A lot of the underground presses were of Roman origin; often done up again in the Middle Ages, and most of them were still used until the mid 19th century when more functional and efficient olive presses began to be built. 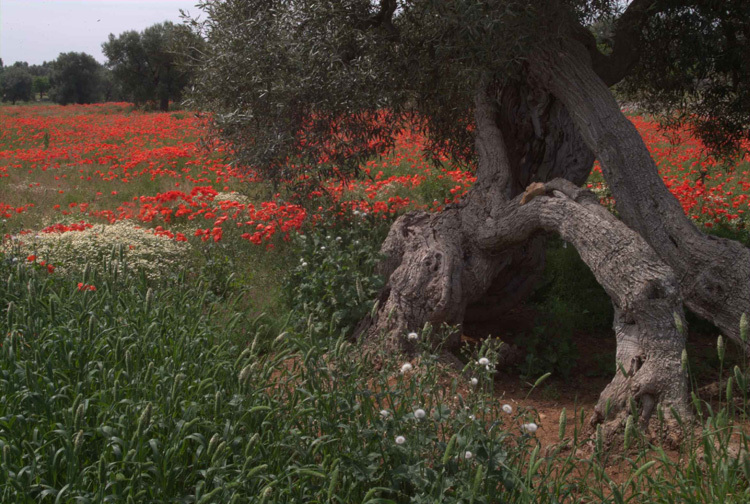 The masserie stand out amidst the foliage of the olive trees that stretch out across the plain as far as the eye can see. Imposing buildings, which began to be built in the 16th century as towers to defend the underlying olive mills where the real wealth of this territory, the olive oil, was produced. 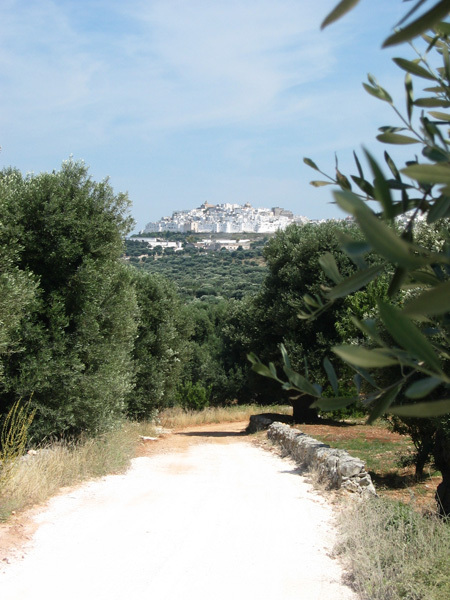 All the above-mentioned elements can be found in the olive-grove studded plain between Fasano, Ostuni and Carovigno, and can be visited and enjoyed by means of a dense network of footpaths, mule-tracks and stepping-stones fringed by dry-stone walls: a unique legacy that is witness to an ancient alliance between man and nature, and in particular with the olive tree, which has guaranteed sustenance to entire generations for centuries. 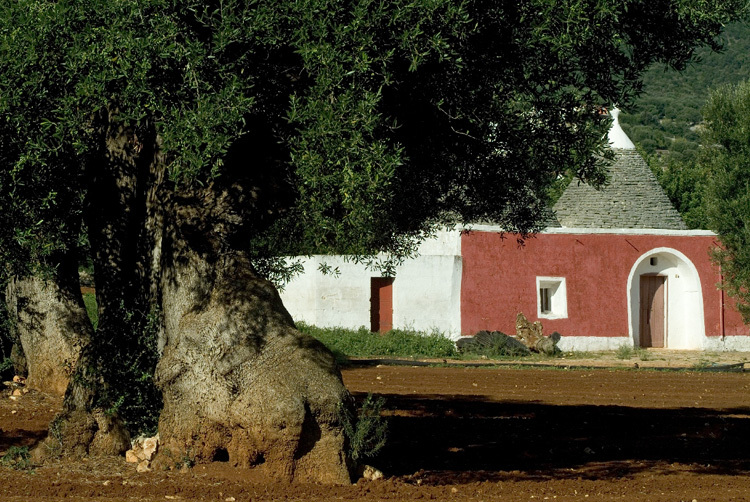 In Puglia the civilisation of Mediterranean olive oil, that has generated in these parts a landscape of outstanding beauty, finds its synthesis, a unique heritage in the panorama of world agriculture, one of few that can tell a story dating back thousands of years by means of monumental trees that still continue to provide sustenance.